Imagine miles and miles of deserted white sand and a clear sea and you begin to feel a little of what Spain’s Canary Islands are all about. This is one of the most beautiful and popular destinations, beloved by tourists from all over the world. Just off the coast of North Africa, the island of Fuerteventura is a sandy paradise with year-round sunshine. Also known as ‘Shank’s Shark’, Caleta stretches for over 800 meters. With golden sand and a relaxed vibe, this beach is a big hit with families. Located in the south-east of Fuerteventura, Sotavento Beach boasts 17 miles of sand making it the perfect choice for those looking to enjoy the calm, peaceful sound of the sea. With a sea temperature of 21 Celsius year-round, this is an ideal swimming area. It’s also a surfers’ and kite-surfers’ paradise thanks to the consistent, steady trade winds. Located just south of the resort Corralejo, in the northern part of the island, Corralejo Beach is another Fuerteventura must, stretching for six miles along the coast. Bordering a national park, this beach can be easily reached by bus. 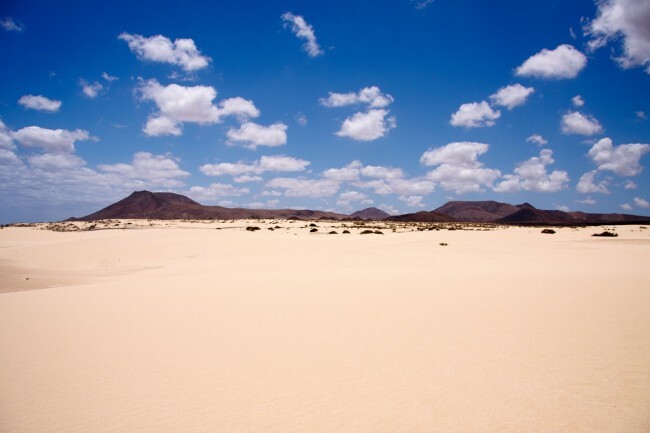 Tourists who choose to enjoy this destination will have the chance to enjoy the silence of Fuerteventura‘s deep south. A short and fast 20-kilometer dirt track leads to the perfectly-isolated Cofete Beach. The challenging ride, however, will require something more suited than a standard hire car. This is a beautiful place with the Jandia Mountains towering above the sea. Located on Costa Calma, Playa Esmeralda is one of the most popular beaches here. With some of the most gentle waves and a golden-sand beach, relaxing here is exactly how paradise should feel and look. For tourists who are perhaps a tad more adventurous, this Fuerteventura beach is the best spot for fishing. Its true charm comes from the fact that visitors can watch as their lunch being caught in the waters of the Atlantic. It also has one of the darkest sands in Fuerteventura. 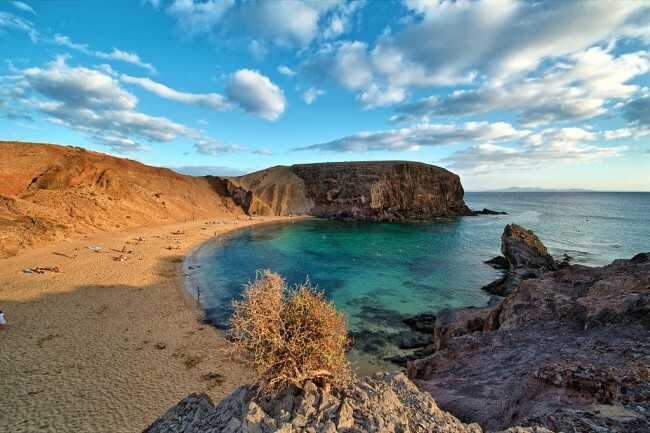 Although confused with the more popular Ezquino-Butihondo, Ezquino beach is located on the northern side of Fuerteventura. This beach is six kilometers from the nearest town, making it a great place to fully relax and unwind. It’s also paradise for surf enthusiasts, given the constant rollers that come in off the ocean. Also known as La Escalera, this beach is everything but remote and deserted. El Ajibe de la Cueva Beach is a mere three kilometers south of the fishing village-turned-resort, El Cotillo, in the north-west of Fuerteventura. 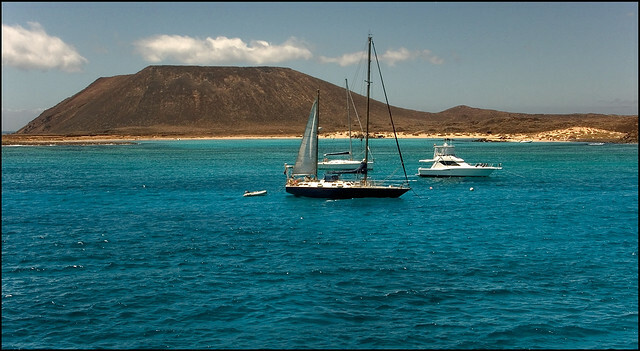 Regular boat trips leave from Corralejo to the tiny Lobos Island daily. A short 10-minute ferry journey brings tourists into a new world of protected natural landscapes. The entire island is a nature reserve, meaning that the waters around the island are teeming with fish and marine wildlife. The island is pretty small, and it takes only a couple of hours to explore it, but there are many secluded beaches to enjoy and coves to wander. Ajuy beach’s popularity is due mostly to the contrast between the blue water and the pitch black sand. Swimming here is not recommended because of the torrential surge, yet the beach is always crowded and famed for its magnificent scenery.